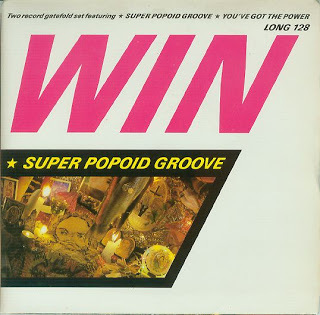 Win featured on the blog last August thanks to me having a look at the 1987 single Super Popoid Groove which came in a 2-record gate fold sleeve featuring a copy of You’ve Got The Power, a previous and totally unjustified flop single dating back to June 1985. Having reached Win in the alphabetical run through of Scottish singers/bands who have at least one single sitting in the cupboards or shelves here in Villain Towers, I thought I’d go back to the 1985 flop and the 12″ version of it. It was after the break-up of The Fire Engines that Davy Henderson formed Win with Ian Stoddart (Bass), ex-Fire Engine Russell Burn (Drums/Keyboards), Emmanuel “Mani” Shoniwa (Guitar/Bass), Simon Smeeton (Guitar/Bass) and Willie Perry (Keyboards). This was a real effort to make more accessible pop music than his previous band and it remains a real mystery as to why their popularity never really extended much beyond the confines of Scotland, despite a handful of great singles and two albums which, while having dated largely because of their reliance on the 80s production trends, still have a smattering of excellent and catchy tunes. In Heaven is a cover of a song co-written by David Lynch and which featured in his 1977 horror classic Eraserhead. Many of you will probably be more familiar with the version by The Pixies. Oh and finally, for anyone interested, there is a tremendous fan site about Win, put together between 2006 and 2010. It’s well worth a few minutes of you time. Click here. 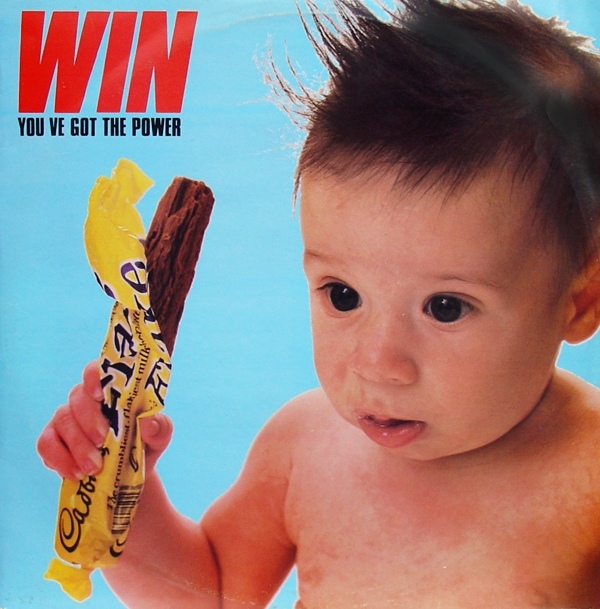 The majestic noise made by Win on the June 1985 single You’ve Got The Power didn’t generate any chart success. But it was a song that became more widely known months after its release thanks to it soundtracking a very peculiar advert for a rather vile brand of Scottish lager. When Win moved across to London Records after Swamplands had come to an inglorious end, the powers that be at the label, having been left bemused by the failure of previous 45 Shampoo Tears to trouble the charts, decided that the follow-up 45 should have an enticement. And so when they got round to issuing Super Popoid Groove in March 1987, they decided it would be as a 2-record gate fold pack featuring copies of You’ve Got The Power, complete with Swamplands logo and catalogue number. It helped the single reach #63. I’m sure everyone was gutted. Super Popoid Groove itself was a single that deserved to get the band on Top of The Pops. It must have been painful to realise that you couldn’t even give away copies of the old 45. Chewing gum baby for the ears.